The Engadget Show is live, here at 6:00PM ET! Are you ready for this? We’re back for a very special Halloween episode of The Engadget Show, live tonight at 6PM ET, and you can join us at this very URL — so keep your browser locked to this spot. This time out, we’ve got a very special Halloween episode, including a walk through of a high-tech haunted house, a trip to New York Comic Con, an in-studio costume contest and the unveiling of the winners of our Frankengadget competition. We’ll also be visiting with Intel’s resident futurist, paying tribute to Steve Jobs and taking a look at the month’s hottest gadgets. Continue reading The Engadget Show is live, here at 6:00PM ET! The Engadget Show is live, here at 6:00PM ET! originally appeared on Engadget on Fri, 21 Oct 2011 17:25:00 EDT. Please see our terms for use of feeds. Webcams have certainly narrowed the distance between loved ones, but it’s hard to argue that two people hovering over their laptop screens can rival an in-person conversation. Moving things over to the big screen could make the exchange much more comfortable for everyone involved — you just need an HDTV, and a Biscotti. 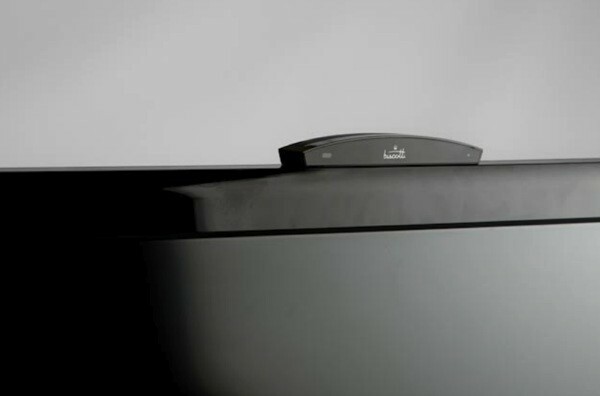 The small black box should be ready to turn the biggest screen in your home into a high definition video phone fairly soon, having just landed in the FCC’s living room. Packed inside is a camera, microphone and 802.11b/g/n WiFi — plug the contraption into your TV and you can instantly make calls to family and friends, with no monthly charges. A pair of HDMI ports let the device serve as a bridge between your television and cable box, so folks with limited connections don’t have to choose between Dad and Mr. Mom. Biscotti will also interact with computers, tablets and smartphones via an as-yet unnamed “video player” to bring life-sized video chat to the masses. There’s no word yet on pricing or availability, but if the FCC has finished nibbling at it, then it shouldn’t be long before we get a taste ourselves. Biscotti TV dunked in the FCC’s latte, still a bit hard originally appeared on Engadget on Fri, 21 Oct 2011 17:02:00 EDT. Please see our terms for use of feeds. It was just last week that we got to take home the Acer Aspire S3, the first Ultrabook to go on sale here in the States. Unfortunately, it doesn’t live up to the pillars laid out by Intel: its performance trails similar machines, its battery craps out early and the design, while portable, is too chintzy to make it a bellwether for skinny Windows laptops. Our verdict, in a sentence, was that you’d be better off getting a MacBook Air, or at least considering other Ultrabooks — namely, ASUS’ line of Zenbooks. As it turns out, one showed up on our doorstep just a few days later. In many ways, the UX31 is everything the S3 is not: it has a gorgeous all-metal design and comes standard with an SSD and 1600 x 900 display (not to mention, a case and two bundled adapters). And with a starting price of $1,099, it undercuts the entry-level (and similarly configured) MacBook Air by two hundred bucks. So is this the Ultrabook we’ve all been waiting for? We suggest pouring yourself a large beverage, settling into a comfy chair and meeting us past the break. We’ve got a lot to say on the subject. 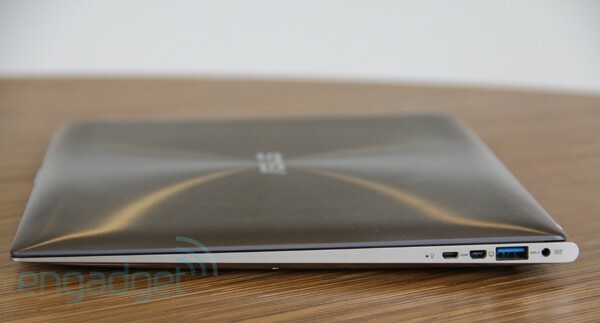 ASUS Zenbook UX31 review originally appeared on Engadget on Fri, 21 Oct 2011 16:25:00 EDT. Please see our terms for use of feeds. This entry was posted on October 21, 2011, 5:30 pm and is filed under Mobility. You can follow any responses to this entry through RSS 2.0. Both comments and pings are currently closed.